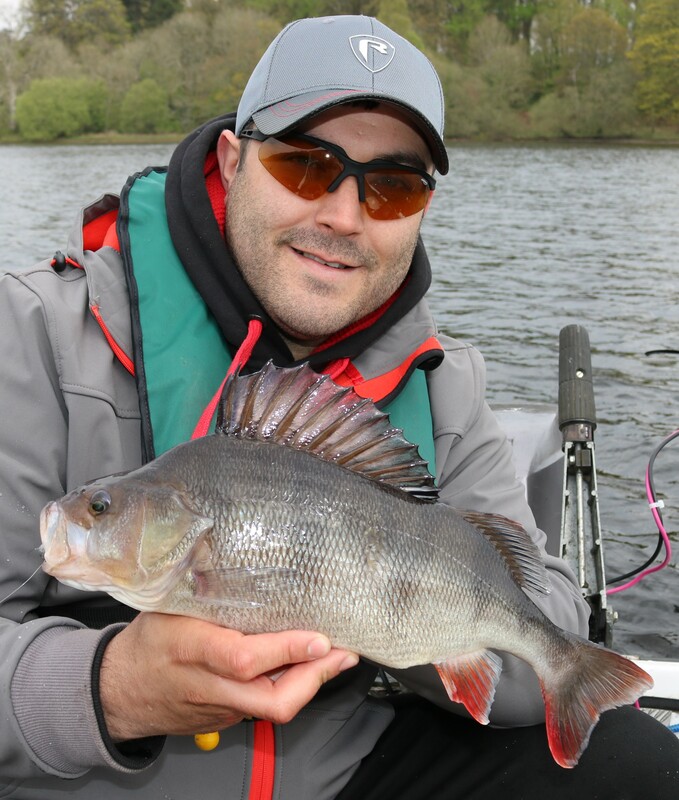 IFD: There are many famous names in big pike angling and one that needs to be added to the list is none other than Scottish big fish specialist Craig Renwick, recently we caught up with Craig to ask him about his fishing, so here’s how it went…. Craig ​can you tell us a little bit about yourself? I work full time for Mitsubishi and I’m a part time pike angler. I’m a mechanical engineer to trade, I work shifts and plan my fishing around it. I try squeeze in as much fishing as I can but I find it very hard to keep everyone happy at the same time. I’ve two daughters (one I’ve adopted as my own) and my Mrs has recently given birth to my third. This time it’s a boy so there’s going to be some very exciting times ahead with him! 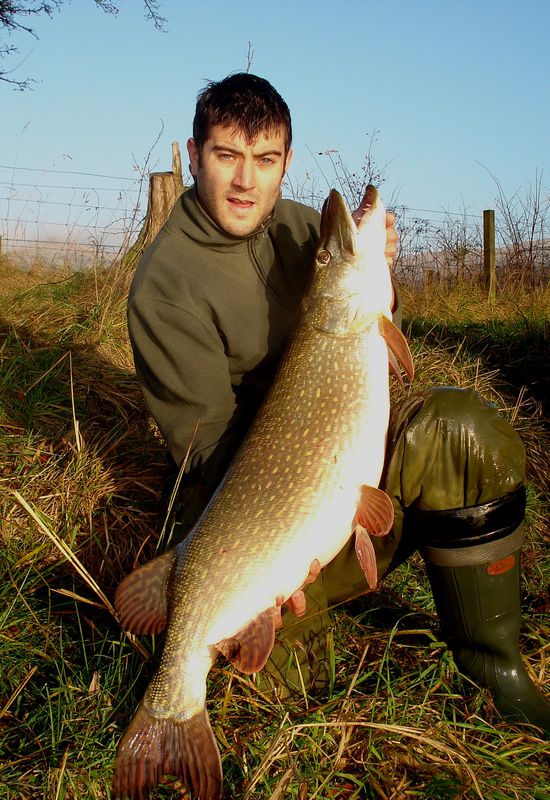 What was your first memory of fishing and was there any early capture that set you off chasing big pike? It was in the summer of 1995, at the tender age of seven years old that I managed to hook my first fish by means of my own accord. The unfortunate victim was a small 6inch flounder from a stream that ran alongside the front of my house at the time. From that moment on I knew that I was the one that was hooked and my overwhelming love for fishing began. During the following years ahead I spent many days of my childhood fishing for trout, flounders and eels on it, building knowledge on my experiences and later moving on to a reservoir close to my home that would later become a very special place close to my heart. 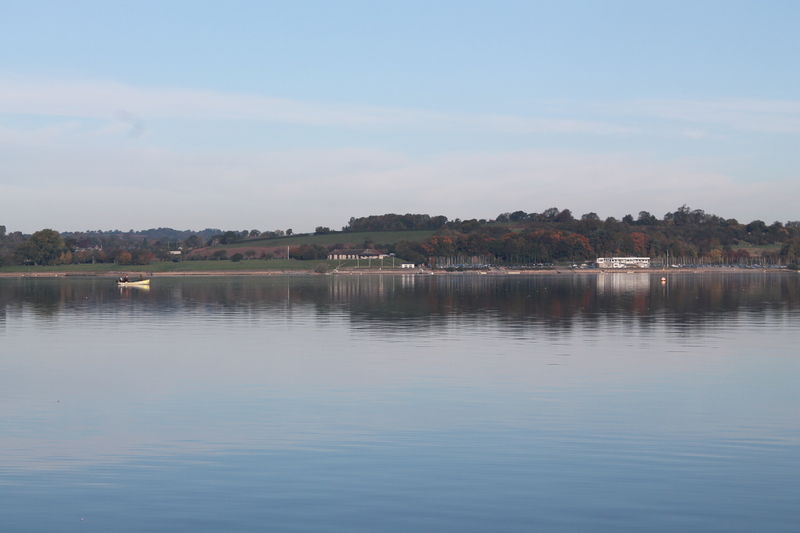 I suppose the story that I am about to relate to you starts when I first ever fished the reservoir back in April 1999 when I managed to catch my first fish from the water, a rainbow trout of about a pound in weight, caught on a mepps spinner. I instantly fell in love with the place and it quickly became my new haunt, each year season tickets were bought and with each venture to the water my skills and knowledge grew together hand in hand to the point where during the up and coming years, I managed to win a number of junior trout fishing competitions, although my methods were employed to catch a completely different species of fish…. 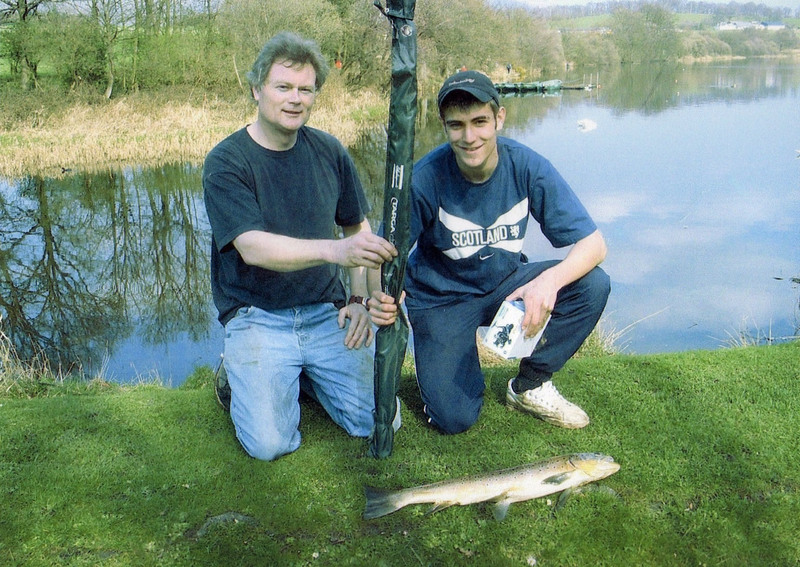 It wasn’t until a year later from when I caught my first fish from the water; the summer of 2000 that I caught my first good sized pike from it; a fish of around 18lb, caught off the reservoirs dam wall on a four inch black and silver Shakespeare Big S plug. As you can imagine, a twelve year old boy hooking into a fish of that size on 6lb mainline, using a light weight seven foot trout rod managed to gather quite a bit of a crowd. The commotion must have alerted one of the fishery’s bailiffs that someone was into a good fish and with it he too joined the crowd. I fought the fish for what seemed like an age under the critical eyes of the onlookers. As time went by whist playing the fish I was starting to get nervous with the thought of losing this monster fish. After all the fish had me in a pickle; this fish was giving a good account of itself with long powerful runs and staying well deep in an attempt to break free. We all thought at the time it was one of the big wild brown trout which naturally inhabited the reservoir that was attached to my line. They were seen as the ultimate goal within the trout anglers and every angler on the water wanted to catch one, although they were rare one or two usually made an appearance each year. Eventually the fish showed, coming up from the deep was the unmistakable profile of a pike with its iridescent olive green back and big yellow spots. The fish was eventually showing signs of being beaten; I had won my battle with the monster and looked on in anticipation as the bailiff slid the net under her. She was now out the water and onto the grass bank. I couldn’t believe what met my eyes, this fish was bigger than anything I had ever seen at the time, never mind caught! The fish was then quickly unhooked by the bailiff and I was able to seize my first chance to hold this monster pike, staring at her beauty for a moment I slipped her back into the reservoir to fight another day and with it hopefully giving another angler the same joy to catch that she gave me. From that moment on I knew that I simply had to catch another one, trout were no longer what I was after and my obsession with pike began. 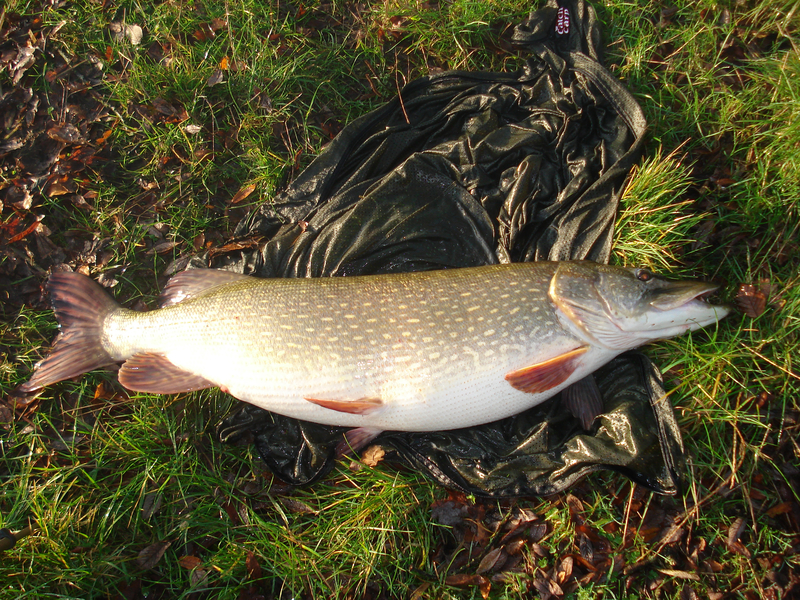 What advice would a keen pike angler like yourself offer to all the youngsters missing out on our glorious sport? Any extra pointers for parents? What advice would I give to youngsters? Wow… now there’s a question I’ve never been asked before! When I was a youngster I was a total idiot. I gave my family heart ache, I was always in trouble and I was the class clown at school. My teachers told me that I was a waster and that I wouldn’t amount to anything in life. I was in trouble all the time at school, be it through giving cheek to my teachers, not doing my work, causing an uproar in class or fighting with other pupils (and sometimes the teachers), I actually got expelled in the end! I’m not ashamed to say that because nowadays I am a much better person, I have to be, I have a kids of my own now! During my school and teenage rebel years fishing was my refuge, a place where I felt I could relax and be myself, a place that made me feel more at home than my home. The only advice that I can share to all the youngsters out there is to give fishing a go and see what it has to offer. My girls love it! 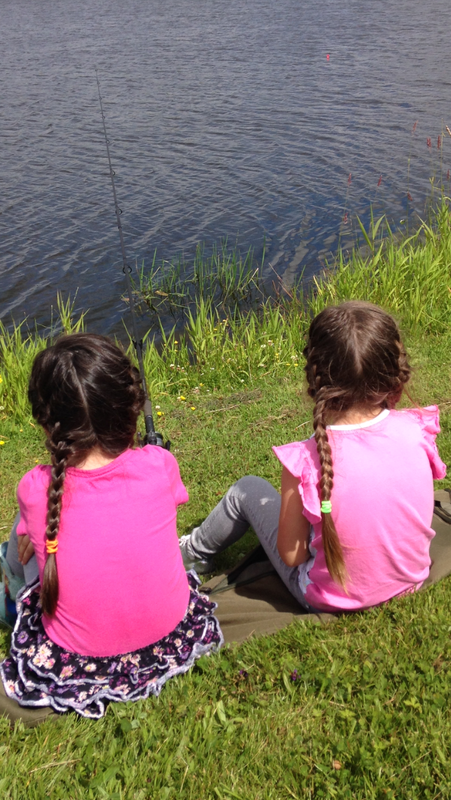 I think that it is important for parents to get their youngsters out and experiencing the joys that fishing and being out in the wild has to offer their children from a young age. Not only is it fun but it also teaches them to love and respect nature… something that I think a lot of today’s youngsters sadly lack. What types of waters do you mostly fish? 90% of my pike fishing is done on trout waters. Simply because thats the type of waters that I get most of a buzz out of fishing. After all there is no better place to catch a big pike than on a big trout water. They are tricky to catch from and for that reason I don’t catch a lot of pike each year but the ones that I do catch are usually pretty special. That’s what drives my pike fishing, I do like fishing difficult venues. It gives me more of a buzz when I do catch one. The often difficult nature of these venues always keeps me on my toes and I’m always thinking of different ways I can catch them. I like to think of myself as a thinking angler. I’m not one for following guys or fishing the ‘GOING ’ venues. I like to find my own fishing, that way I have no one else to compete with and I can experiment with things and be a bit more leisurely in the way I go about it. 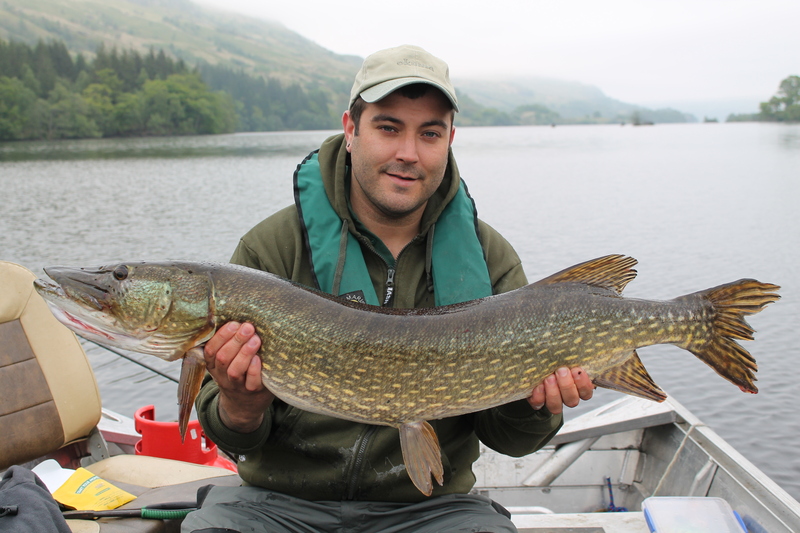 Unlike most guys in Scotland I very rarely fish for pike during the warmer months. If I do it’s usually on the large wild waters with the lure or fly rod just to get my fix and to keep the buzz going. I much prefer fishing for perch or tench during this time of year. When it comes to trying to tempt a larger pike, what methods have you found the most successful and what are your preferred baits? As a general rule big pike are not any harder to catch than smaller pike it’s just that theres a lot less of them about on most waters. Interestingly though what I have found when targeting big pike is that they can be very fussy as to what they want and how they want it. 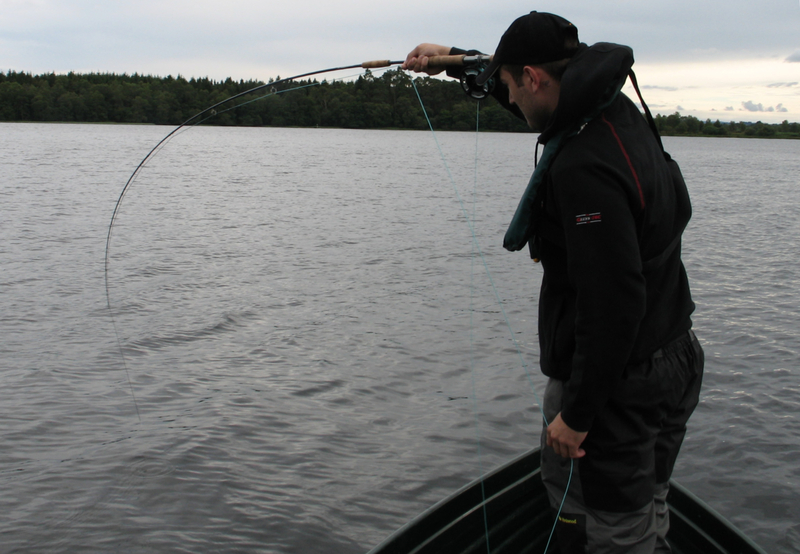 Finding this out is IMO the key to fishing any water for BIG pike no matter the size of it. No two waters are the same and each has to be treated differently so what I do when I first start fishing a water for the first time is I try gain as much information on it as I can that will help me. Success is never usually instant. Big pike are creatures of habit and for that reason I’m constantly trying different things until a pattern starts to emerge. All I try do is find out what they want and how they want it and without meaning to sound arrogant they are usually pretty easy once you find that. For example it could be something as simple as just fishing big baits, maybe its small baits, sometimes it may be a specific bait or even something as simple as just fishing one area where I’ve found to be better than anywhere else. Feeding patterns are something that I’m more interested in but maybe I will go in to that at a later date? I think the most important thing when targeting BIG pike is to make sure your fishing a water with plenty of them in it and to keep an open mind about things. Nothing is set in concrete when it comes to fishing for big pike. I wouldn’t say I have favourite all round bait but what I do have is favourite baits on individual waters. Like I said earlier, it’s all about finding patterns and giving them what they want and maybe more importantly….when they want it! 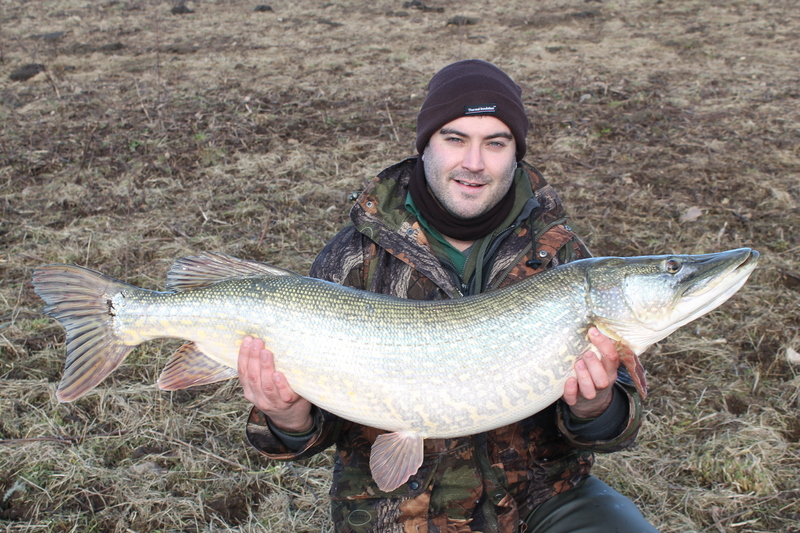 You have now caught a whopping twelve pike over 30lbs, can you tell us about your pb? The day was Thursday the 10th December 2009. I arrived at the waters edge at first light and the mist was slowly rising off the flat calm sheet of water that was in front of me, the conditions looked fairy tale like and expectations of a fish were high. Each one of my three rods were casted out into known features in the loch. My first, baited with a lovely fresh sardine was accurately placed thirty yards out, straight in front of me into a deep hole that was twelve foot deep and was surrounded by eight feet of water. The second, a popped up herring was cast to my left about twenty yards out from the bank, just shy of a weed bed in seven feet of water. My third and last rod was baited with an eel section and cast off to my right hand side onto a gradual drop off that went from four feet down into nine feet of water again about twenty yards from the bank. The morning went by slowly just like the previous six had where I had not encountered even a sniff from a pike on any of my baits. At just minutes past 10am I was standing next to my closest rod, the one that was out in the twelve foot hole. I was admiring the morning sun as it was just starting to burn a hole through mist that was lit a lovely bright orange when thoughts were running riot through my mind, why are they not having it? Are the pike in the deeper water? Should I have pre baited an area? etc when suddenly my drop off slammed against the rear bank stick, I don’t know whether it was the adrenaline that was pumping or that I simply never heard the sounder box going but I grabbed the rod from off the bank sticks as quickly as I could, wound down and stuck. It was my first run in over thirty eight hours of fishing I wasn’t going to let the fish drop the bait before I had a chance to set the hooks! What met my strike was a solid resistance. My 3.25lb test rod was bent double just trying to lift this thing off bottom when suddenly without warning I get a vigorous side to side sweeping head shake which confirmed it was a fish, and a big fish at that. 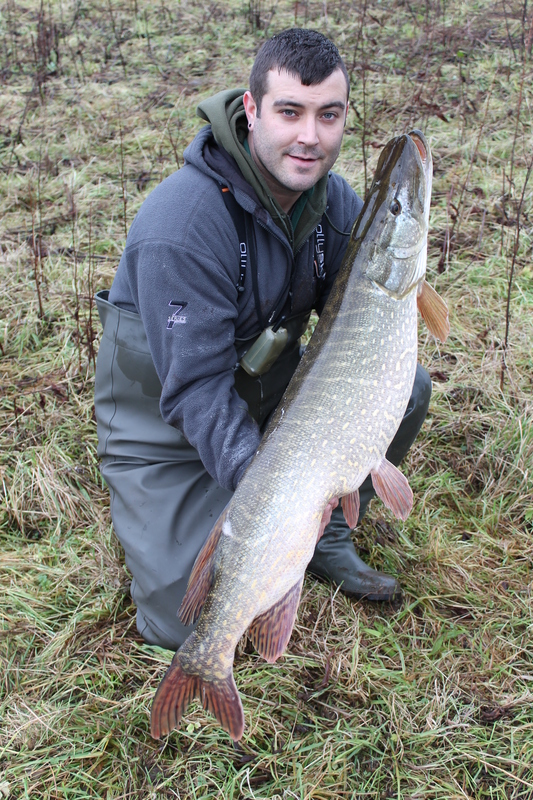 Now, I had previous caught more than a good handful of thirty pound plus pike before this but none of which previously had even come close to the power this fish had. Eventually I started gaining line on here inch by inch as she just kept plugging bottom with solid thumps of her tail. I quickly grabbed the net that was down at my feet and placed it in the water as she edged ever so closer to me. Just as I done this I get my first look at her, she bobs up out on top of the water just 5 feet out from the bank. I seized my chance and got her over and into the net first time then onto the mat. She was very lightly hooked with just the bottom treble stuck in her scissors. This was quickly turned out and then I stood up and looked at her. I simply couldn’t believe what I had just caught! After a few quick photographs she was popped onto the scales which read out a mighty 37lb 12oz, I was simply in awe! She was then carefully slipped her back into the loch where within seconds she shot off into the depths. I stood back up, wiped my face and looked at the time, it was 10.15am, time to leave for work! Which was the most hard won of your 30’s? 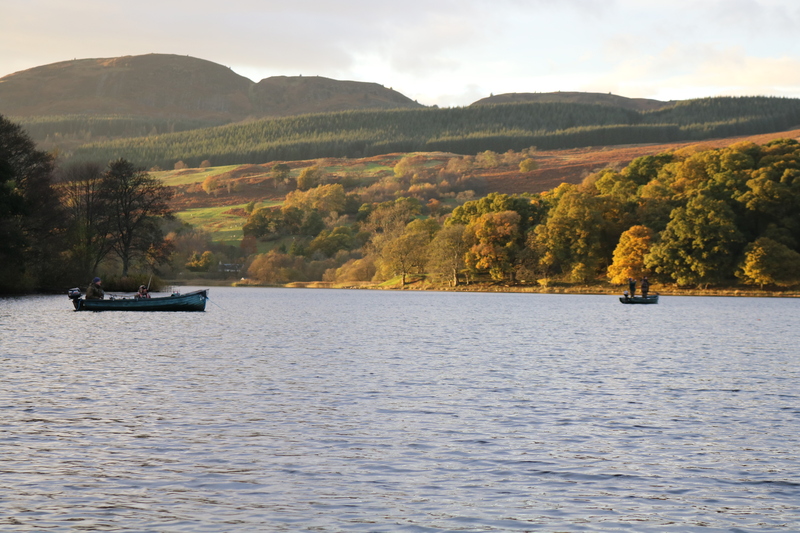 Without going into too much detail – I had been fishing a loch that I knew held the stamp of pike that I was after but it is notoriously difficult to catch them from. Myself and my mate managed to secure the fishing rights to it and I had a great first season on it catching eleven 20s, seven were over 25lb and two of them were different 29lbers. I had five over 20lb in one day off it that year! The following season I caught very little from it as did my mate and between ourselves we began to write it off. Fish were showing up here and there but nothing like they did on the first season, what we did catch proved to be a few repeat captures from the previous season. It wasn’t until a cold February morning at the back end of that season that I managed to catch a 35.2 from it. I had been blanking the previous trips and the few hours leading up to the capture of the 35. What I had been getting was runs from trout…they love a sardine! I fished a rod in close trying for one and when the inevitable happened and I got another run, I struck into it, I expected it to be a trout – nope it was a 35.2 pike. That’s trout water pike fishing for you, it’s never plain sailing and that’s what I love! 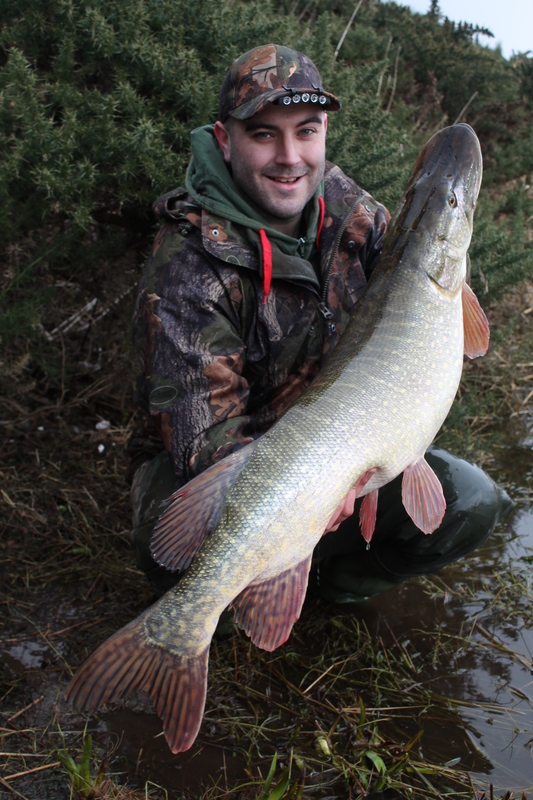 You have set yourself out to predominately catch big pike, how difficult is it to achieve? Like I said earlier, the hardest thing is finding waters that hold them Paddy then it’s all really just down to time you can spend fishing for them I suppose. BIG pike always eventually slip up, you don’t need to be a somebody to catch stacks of big pike all you need to do is spend the time on the right waters. That’s exactly what I’ve tried to do over the years and I certainly don’t class myself as a ‘somebody’. All I do is fish the right waters. I don’t waste my time fishing waters where the average fish is 12lb, I want to catch much bigger ones than that. I don’t get a lot of time on the bank so when I do get out I want to maximise my chances of catching a biggie as much as I can. Each year I set myself out to try catch at least ten 20lbers a season. I usually achieve it. I try to focus on fishing for 30s and find that the 20s usually take care of themselves. That’s what I enjoy, that’s what I love, its hard going and often soul destroying at the same time but when one slips over the draw cords it’s a different buzz altogether. Luckily I have access to a few really good waters but I’m never really content with my fishing, I get bored easily around the same surroundings and I’m always on the lookout for somewhere different.